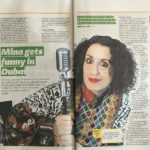 I had a wonderful month performing around the UAE as part of Breast Cancer Awareness Month with my Funny Girls. I had a blast filming for Seasons 2 and 3 of Comedy Central Arabia’s “Comedy Central Presents… Stand-up.” Stay tuned for the premiere of Season 2 on OSN this coming January! 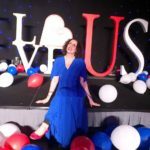 Had a blast hosting the American Business Council in Dubai’s 33rd Annual Independence Day Celebration! Fireworks, laughs, mac and cheese, apple pie, what’s not to enjoy? Thanks to Tabloid! for the great cover story on Mina. 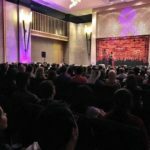 She had a great time chatting it up with them about standup in the Region and “Araby by Nature.” Check out the full article.